There’s quite a lot of information circling around the web on what to specifically pack, carry or stock up on in terms of survival equipment, supplies, weapons, etc. when the situation calls for “bugging out”. What’s largely missing though (and equally important) is how you plan to be mobile- what kind of transportation is best, and how you equip one to be suitable for bugging out events. It’s an understandable oversight. After all, we take for granted how we move about the city or the suburbs while sitting down comfortably in a 4-wheeled vehicle. So, naturally they are left out of the picture when it comes to prepping for doomsday scenarios. But, consider for a moment how far you can go and how fast you can get out if you don’t have an automobile. The radius won’t be as far as you’d like. 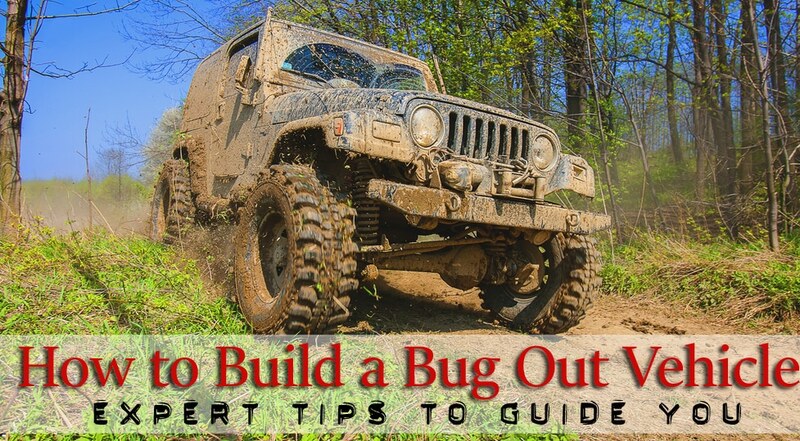 Even if you have the best bug out equipment, a well-stocked supply hoard and the latest and the toughest gadgets, it won’t mean as much if you have an unoptimized bug out vehicle. Having a standard vehicle for daily commute or for occasional driving won’t be enough. If you’re really serious about building up your perfect bug out plan, you’ll need the perfect bug out vehicle. Sure, you can load up the bug out equipment in the trunk and drive, but there are aspects in a vehicle that could mean the difference between escaping relatively unharmed to being pinned down and helpless. Some of the questions you’ll need to answer will be the following- how can I maximize the evacuation process with a vehicle? Are there any weaknesses that should be reinforced? Is there an excellent bug out vehicle that’s ready from the get go? The simple answer is that choosing and building on the best bug out vehicle will depend on your survival situation. It will certainly vary from person A to person B, and under different circumstances as well. Here, we will try our best to list the most important aspects and put them all together to bring you a cohesive plan for selecting and building the perfect bug out vehicle. There’s a high chance that one of these days, an electromagnetic pulse from the sun will reach Earth, or an artificial EMP attack will be carried out by terrorists or even governments. History has shown that CMEs have been hitting our planet for billions of years. How vulnerable is your vehicle against EMP? You wouldn’t know for sure. You’d also have to take into account the scale of the EMP attack. In the best case scenario, your vehicle would just shut off and work fine when you restart the engine. In the worst case scenario, your car’s electronic components would be fried and you wouldn’t be able to drive it without replacing them. And then there’s budget. 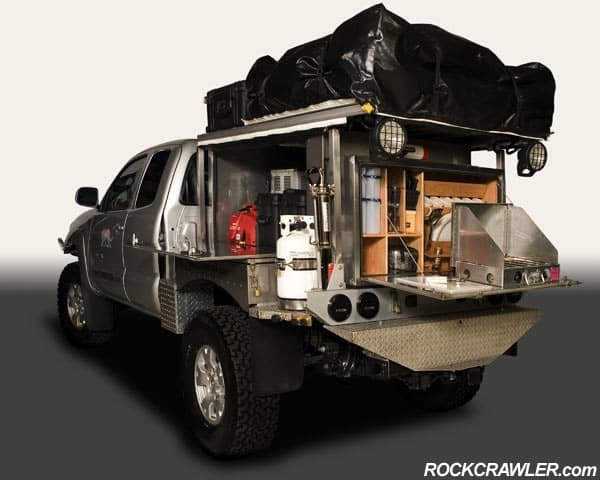 Expenditure costs will be a major factor when building the perfect bug out vehicle. Most modern vehicles have some kind of electrical components to help you drive better or safer. Unfortunately, these vehicles are susceptible to EMP attacks. Older vehicles don’t have this type of technology, so they are quite EMP-proof. The military has found that their massive advanced weapons could be disabled with EMP, so they take extra measures to line their vehicles and command centers with anti-EMP defenses. 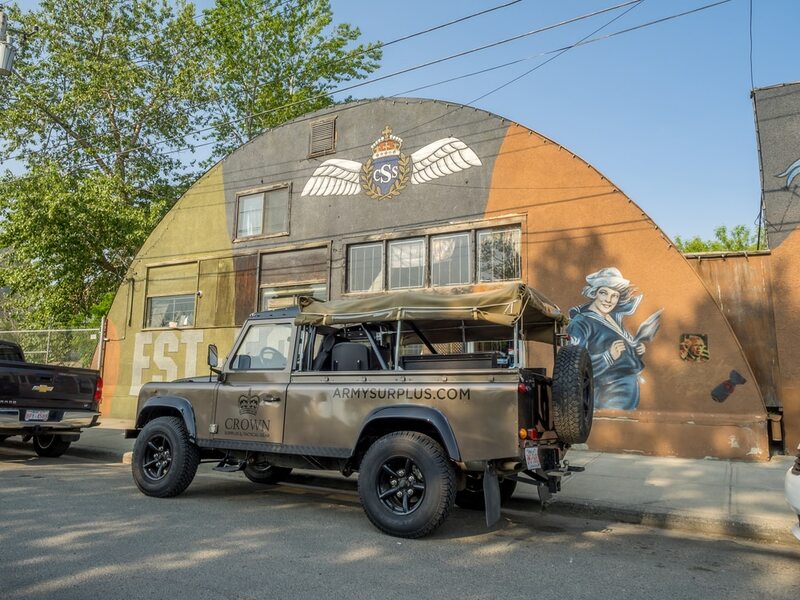 If you know someone or have considerable investments, a military surplus vehicle can be an excellent base of operations for bugging out. The M35 deuce and similarly built field jeeps are a great option because of their overall functionality, durability and reliability. You can find these vehicle types at auctions, online websites and online sales. 3) How Do You Intend To Use The Vehicle? Let’s ask some vital questions here. 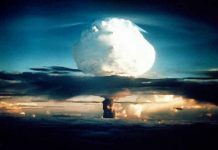 What kind of doomsday scenario are you preparing for? How will you use the bug out car? You would want to build a bug out vehicle that could get you out of specific TEOTWAWKI events. For example, you’re arming up for a zombie apocalypse. You’re planning to head to an isolated island after a complete societal collapse following an EMP attack. You have a fortified cabin in the woods. You’re outfitting a bug out vehicle with high-powered weapons. You could also build a vehicle for escape during or after a tsunami, earthquake, etc. You should also know that there are some catastrophic situations that are more likely to happen than others. There are also some SHTF events that could prove to be downright deadly if you aren’t prepared for it. In any case, having the foresight to build up a bug out car for these events will be particularly helpful, if not downright beneficial. A great part in ensuring survivability in any end of days scenario is knowing your local terrain. Your destination habitat, your indigenous location and the encounters that may happen in-between. Do you have a clear understanding of the best route to take from here to there when a bug out situation comes? How would you return home during regional disasters and/or global catastrophes? Of course, roads and paths traveled by most people are often the quickest way to get from point A to point B. But as you would guess, these paths would most likely be the most congested when a disaster happens. It would almost be impossible to move quickly here, as people will be using the roads to escape impending doom. 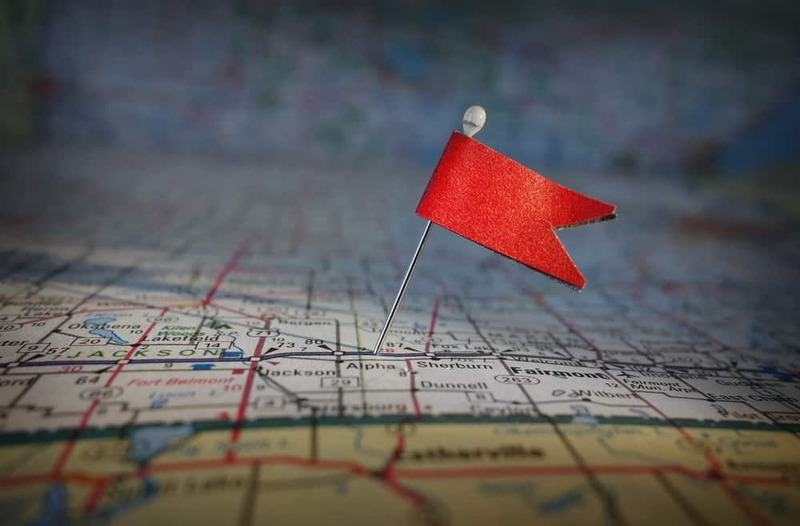 You would want to discover and map out alternate routes for these points- places of interest for SHTF scenarios, going to and from your intended bug out location, and going to and from the office. The road that not a lot of people know could prove to be your best way out. a. Get some physical local maps and atlases you can bring with you. b. A GPS tool that can recommend alternate routes. c. Google Maps, Google Earth and other similar advanced geological app and software. 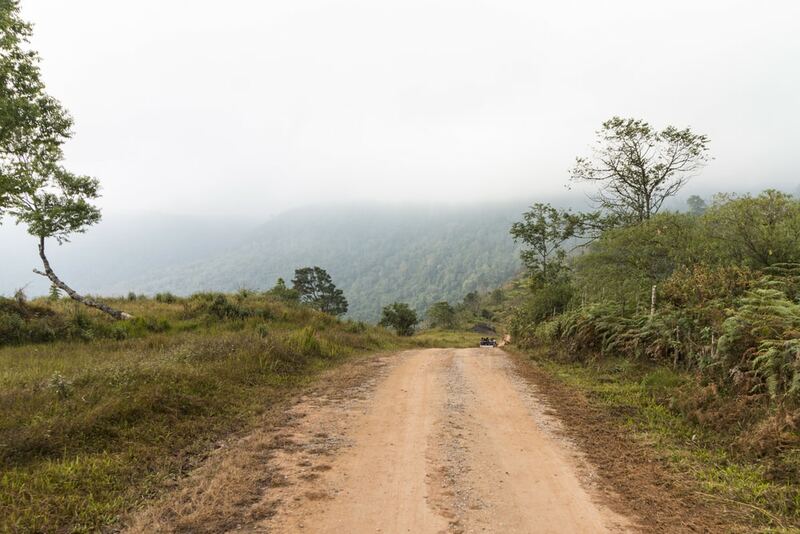 As you find alternate paths and discover great routes, it’s time to get out there. Familiarize yourself with it, and drive out often. 5) Who or What Will You Be Bringing? You may have singled out a likely catastrophic event and brushed up on local terrain. The next question should be- who or what will you bring? Who could possibly come along when the end of days arrive? You should also consider the possibility of driving on offroad terrain, and the amount of bug out gear and equipment you’ll be hauling. Make a list of the most likely threats and rank them accordingly. Let’s say you intend to build the best bug out vehicle for a war. You have a military truck out in the garage and drive around town often with it. People in the neighborhood and the local police know about it. You can expect that a lot of people will try to capture it for their own when an invading army comes. Sometimes concealment can be your best friend. 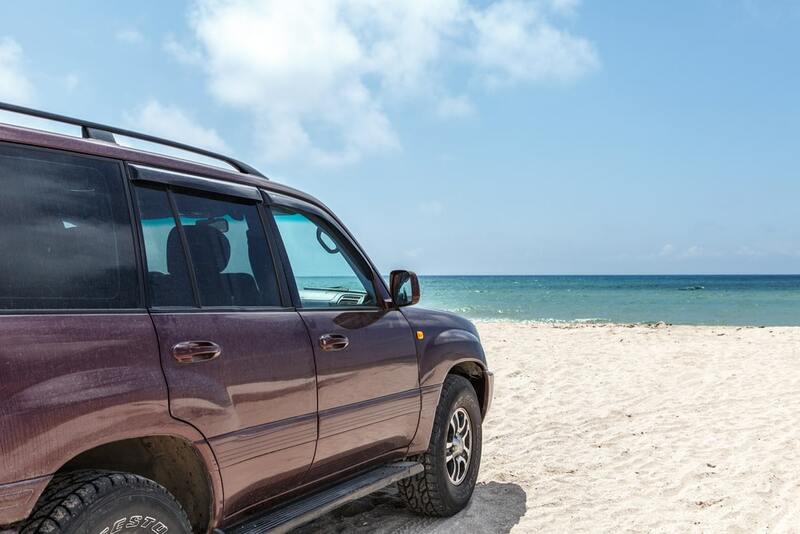 An unassuming Toyota Landcruiser or a Jeep Grand Cherokee could be outfitted with the best bug out equipment and can still look normal on the outside. Even prepping them for off-road aspects won’t raise any suspicion or interest from most people. Don’t pick out a remote bug out location that you can’t drive to using more than a tank of fuel. A good bug out location will be one that can provide at least 3 alternate routes for getting there. Because time is of the essence, it should not be so far out that it’s impossible to get to. What’s the use of a bug out car if it can’t be relied upon? You may have the best collection of bug out equipment, but you won’t be able to bring any of them if your car refuses to start or experience engine failures often. 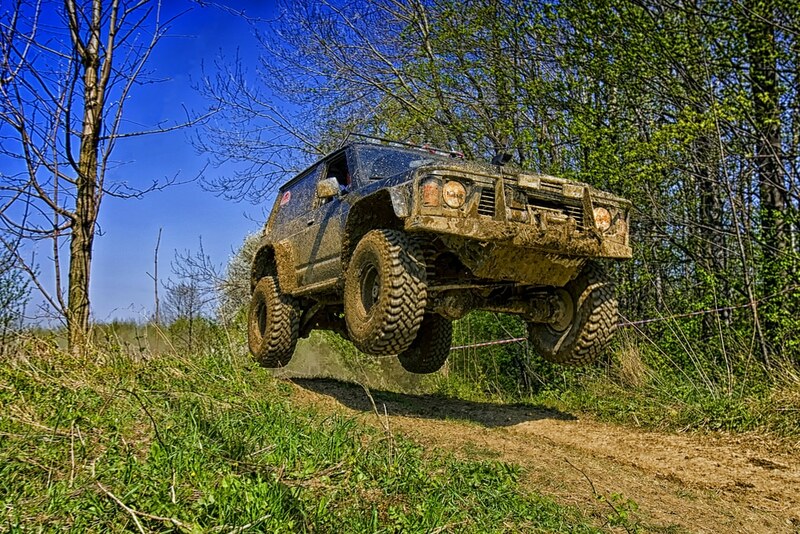 Reliability could very well be the most important aspect in choosing a bug out vehicle. If your car has some stock parts you can easily find to and from your bug out location, the better. A popular car that has parts which can be easily found or bought will be most ideal. Getting a car in tip-top shape mechanically and structurally should be your first mission. The engine, tires, gas tank, doors, roof, etc. should be inspected and repaired if need be. Your car should be ready to go any time you need it. You’ll also want to consider repair costs in a side by side comparison with a car’s reliability. For example, the latest Honda Accord could prove to be very reliable, but you’ll certainly have a hard time trying to find parts and qualified repair centers for it. On the flip side, a Chevy truck may not have a high reliability rating as the aforementioned Honda, but it’s easy to fix and the parts are easy to find. Part of prepping for doomsday cases is to gain knowledge on your bug out equipment and vehicle. Get some spare parts and tools for fixing. Have a working knowledge on how to repair and fix the most common automobile problems. Keep a manual for your car handy as well. 10) Diesel or Gas Engine? Gas comes out on top for a simple reasons- it’s much more available than diesel fuel. But don’t count diesel out of the equation yet, because it’s quite easy to make biodiesel right at your own garage. There are some great websites and books (Biodiesel Basics & Beyond) that you can follow to start producing workable diesel for your vehicle. The concept of creating your own fuel is catching on the mainstream. As such, you can easily find and buy complete biodiesel kits on online stores and specialty shops. 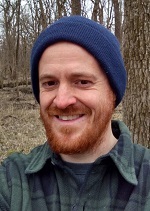 You may have watched from survival movies and apocalyptic zombie series how heroes could use a screwdriver and a hose to siphon fuel from abandoned cars and trucks. The problem here is that fuel won’t last very long to stay in the tanks. Plus, diesel has the advantage when talking about efficiency and flexibility. In certain cases and emergency situations, people can make use of jet fuel, kerosene or heating oil to run their diesel engine cars. The availability of these types of fuel increase your chances of being more mobile than a gas engine car. Moreover, diesel has a notably longer lifespan than gasoline. You can easily find and buy fuel stabilizers nowadays. Add them on to diesel and you can extend its life about 10 times more than gasoline. 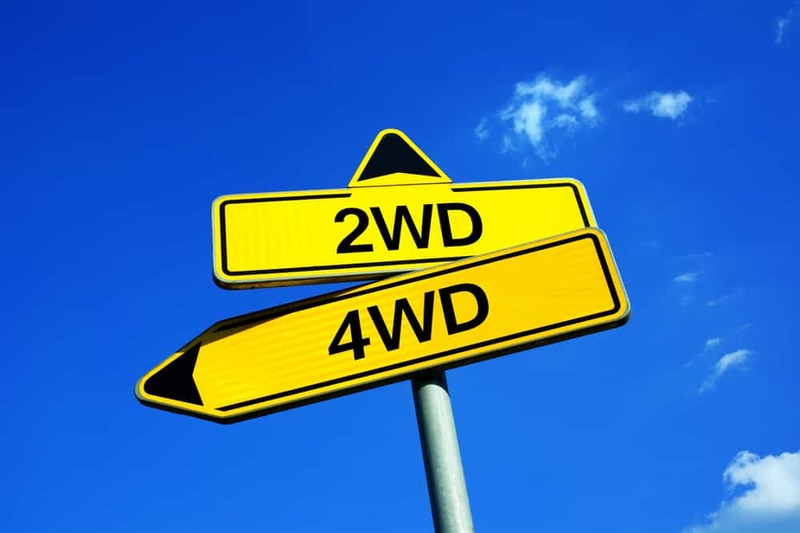 11) 2WD / AWD / 4WD Capabilities: How Important Are They? Terrain handling features can make or break your chances of bugging out survival. How likely is that you’ll need to drive off-road in TEOTWAWKI situations? A lot. A non 4WD vehicle breaks down easily when placed out of its element. A 4WD car will present more terrain options, which in turn can get you to your location much more quickly and safely. Size comparison gets a bit tricky here. Automobile size won’t improve driving in off-road terrain. The car’s drivetrain and clearance can also be a significant factor in some cases. Improve your vehicle in these aspects by modifying the wheels for accommodating bigger tires, waterproofing the engine and upgrading your hubs. The picture of charging through enemy territory in half a tank or something similar is very appealing, but that sort of setup requires a huge amount of fuel. In most instances, those who buy fringe vehicles specifically made for SHTF situations won’t consider gas mileage an important factor. Preppers may have an old truck that can easily be repaired and are very resistant against EMP waves, but they won’t go very far on a full tank. You won’t get to your fallout shelter if it’s location is 400 miles from home and your vehicle’s mileage can only go 300 on a full tank. Gas mileage drops considerably if you’re driving on an off-road terrain. A 10 mpg car will be reduced to just 3 MPGs as you leave the asphalt. We’ve mentioned before that gas will be scarce and it will be a valuable commodity in doomsday events. You may not have the time to siphon them off cars, or make your own (diesel), but what you can do is get a bug out vehicle that has a good range of somewhere around 23 to 27 MPG for efficient gas mileage. You’ll get one less thing to worry about. Some people swear by stick driving. There’s some truth to manual being better, especially in the face of SHTF events. Manual transmission is more reliable, generally has more mileage and are definitely easier to repair and fix than an AT vehicle. Furthermore, having a manual transmission allows you to push the vehicle in order to start it in case of lost keys or a burnt out ignition. 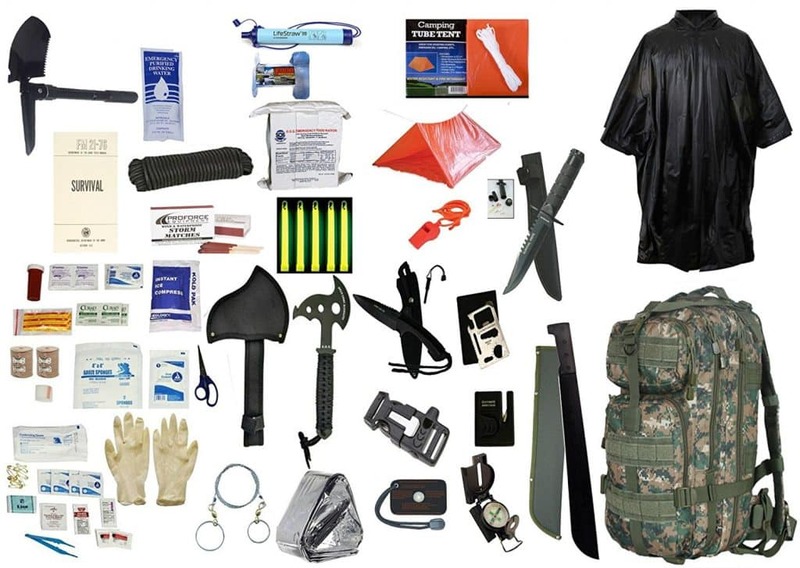 What are the things you need to bring in order to increase your chances of survival? Here’s a definitive checklist of supplies you’ll need. Don’t forget to bring your bug out bag to carry your stuff along. 1) An Excellent Bug Out Bag: Go for the best one you can find, because this is the storage that will carry everything you need to survive. Only carry as much climate-appropriate clothing as necessary. 2) Water And Food: These may vary depending on your environment and other things. The most basic would be stainless steel containers of water. Portable water filters and purification tablets are some of the most versatile tools you can purchase. Keep a few reliable food sources in your stash. Calorie Dense Food Bars, Freeze Dried and Military Meals are ideal choices. Include tools that can help you gather or hunt food out in the wild. One of the most versatile handguns available. The Judge can fit in both .410 and .45 Colt shot shells. The size and heft is particularly impressive, but it’s still smaller than a full-on carbine and rifle. 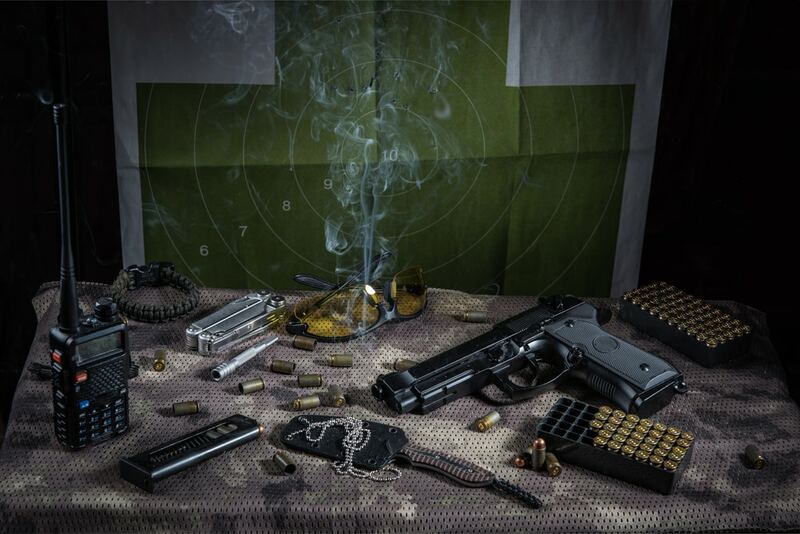 The Taurus is a respectable gun that can be used for hunting game, and can double as a powerful self-defense firearm. Chamber in .410 rounds to quickly kill small game, or slot in the .45 Colt shells for adequate personnel stopping power. The versatility of this weapon has earned it the “jack of all trades” title. In short, the Taurus Judge can be the weapon you want it to be. Stocking up on a .22 LR rifle is certainly useful in many SHTF scenarios. The Marlin 70PSS is an excellent weapon if you know how to fully use it. 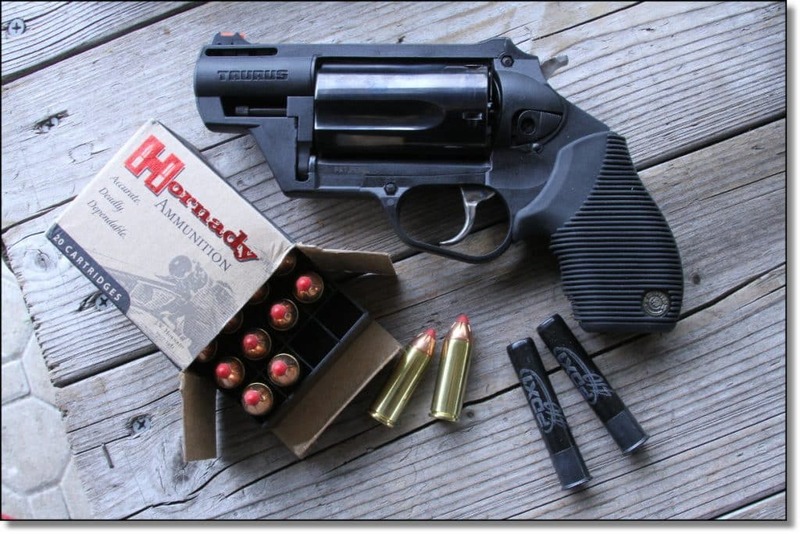 It’s as versatile as the Taurus Judge with a few beneficial bug out features thrown in. The Marlin 70PSS shines in cases where space is a premium. The tack driver is stainless steel and packs in quite nicely inside the included all-weather case. Assembling and disassembling can take a few minutes at first, but practice the act and you can narrow the assembly and disassembly time within seconds. The Marlin 70PSS is an autoloading rifle that you can bring along whether you’re inside or outside your bug out vehicle. 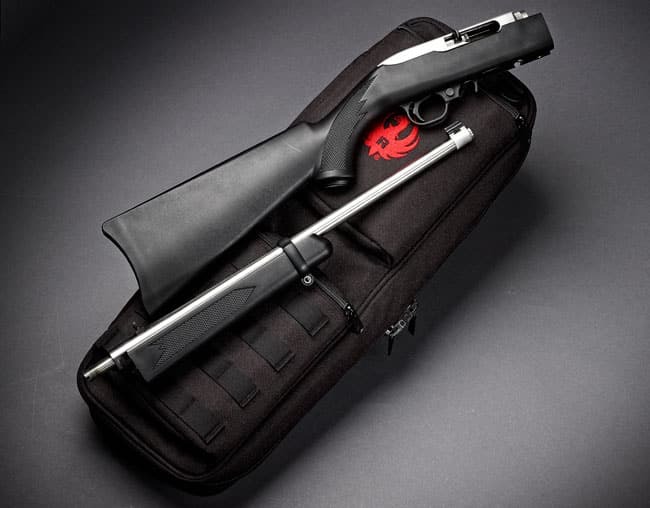 The newest 10/22 Ruger Takedown is a better version of the stock Ruger 10/22 semiautomatic rifle in that it can be easily stored and transported. A divided rifle (each measuring about 18.5″ long) should be small enough to fit into your preferred bug out bag. The newer model also has a threaded barrel, which allows you to add on a suppressor for a silent kill. It has all the great features of the regular Ruger 10/22- top notch reliability, accuracy and anyone can get familiar with it after a few uses. The .22 long rifle chambering puts it in the big game hunting category. It also has a great stopping force if ever you’re forced to defend yourself. Overall, the qualities of the Ruger 10/22 Takedown makes it one of the best bug out weapons to bring with you. What stands out is the PMR 30’s ability to hold in its chamber 30 ammo rounds of the Winchester Magnum. It’s also incredibly lightweight. The one-two punch provides enough benefits for those who want to pack in the best weapons as they bug out. Though it might not be able to hold its own in the self-defense or in the big game hunting category, the Kel-Tec PMR 30 shines in other SHTF scenarios. You get two fully-loaded magazines (for a total of 60 ammo rounds total) weighing in just within 25 ounces and a greater stopping force than the .22 LR, and you’ve got a gun that has great stamina and weight. A good firearm is the one that makes the most sense. It should easily fit into a pack and handle wear and tear. You can go for lighter ammunition, such as the .22LR. Consider the following- 200 22LR rounds weigh about 1.5 lbs, as compared to 200 44 Magnum rounds which weigh more than 9 lbs. It’s definitely wiser to pack a .22 takedown rifle than a handgun if you are planning to bring just one gun. 5) Night Vision: This is for when you need the sight advantage at night. Bugging out usually means staying stealthy and being under the radar. 6) Fire Starters: Fire is an essential part of survival. When you’re bugging out in the wilderness or don’t have access to ready electricity, a reliable fire starter can potentially save you and your loved one’s lives. 7) Binoculars: See the threats before they see you. Look in distance to gauge and plan the next course of action. 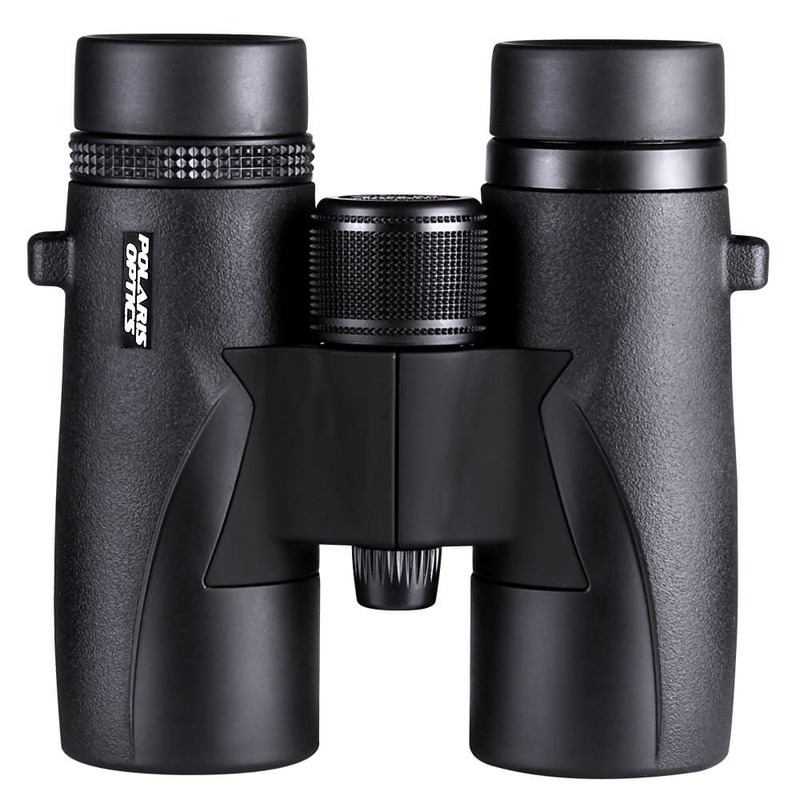 Binoculars will be your go-to equipment for scouting and recon. 8) Camping Supplies: Keep your camping supplies for leisure outdoor trips separate from what you’d bring with you in case a TEOTWAWKI scenario comes. If you can, put in camping supplies on different bags, each depending on doomsday scenarios such as EMP attacks, earthquakes or civil unrest. Carry out simulations to round up the supplies you might have forgotten. 9) Fuel Canisters: Applicable fuel canisters come in handy if you intend to use a portable stove for a few days. 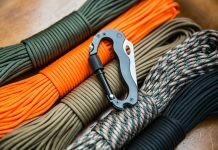 10) Tow Straps: Comes in with the trusty winch. You’ll need these to pull out your friends when their vehicle hits a ditch. 11) CB Radio: Communication is key so you would know what’s happening in the world. 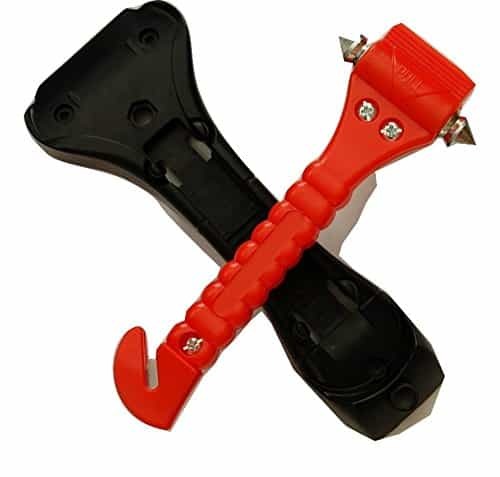 12) Window Cutter: Store these inside your bug out vehicle. In some instances, you might be needing these if you want to escape from your vehicle in a hurry. Cut stuck seatbelts and windows to save you and your companion’s life. 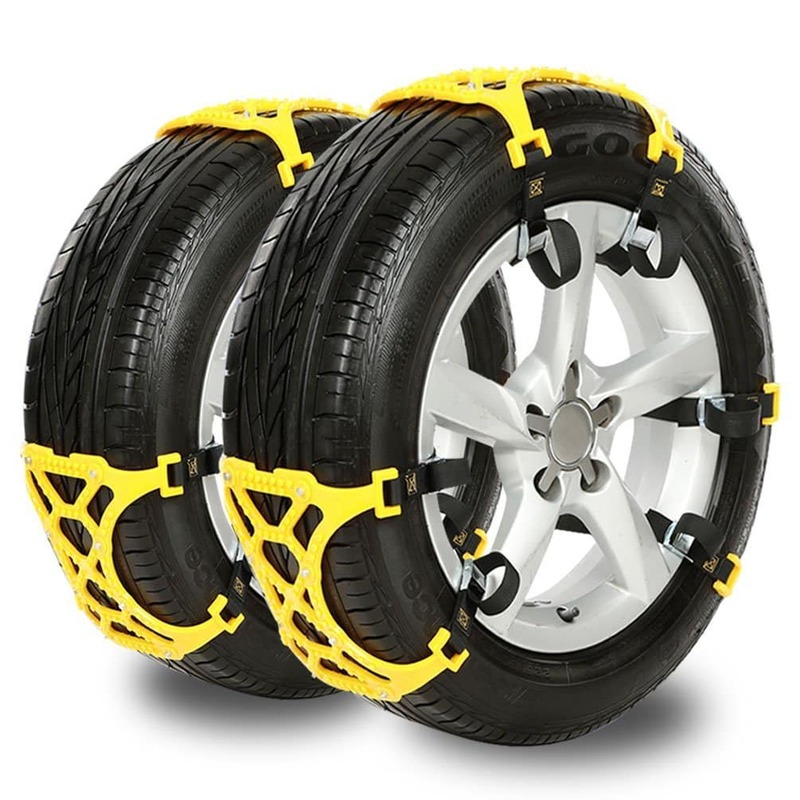 13) Tire Chains: This becomes essential if you live in an area where there’s lots of snow. Acquire a trusty ice scraper as well. 14) Jump Starter: Have one around, and never worry about getting stranded with a dead battery. 15) Basic Tool Kit: All the survival basics packed in one tough kit. These should contain a stanley knife, duct tape, a screwdriver, a wrench, pliers and cable ties. 16) Emergency Blankets: Essential to keeping yourself warm and dry. 17) Spares: Spare batteries, spare tires, spare tools and your vehicle’s spare parts. Always do a routine check of your tires in case you get flat during a catastrophic event. Put the spare parts on your vehicle or safe in a box. The box should hold small important items that are essential for driving. Your perfect bug out vehicle can be considered a tool, just like many of your weapons and survival equipment. It can all boil down to how well you can prepare for the specific scenario you’re expecting and how you can best adapt to that situation. 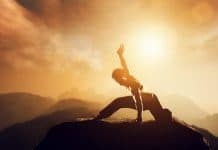 Of course, being versatile is part of bugging out, so you’ll need to spread your resources for a few likely contingencies as well. 1) Engine and Transmission Mods: According to Trucktrend.com, the most abused part of a truck (especially diesel trucks, and we can assume SUVs in some cases), is the transmission. Many used trucks have thousands of towing miles racked up on their transmissions which leads to severe wear. If buying used, you’ll want to have the transmission carefully inspected and put to some simple tests before buying. The key is to buy a vehicle with a transmission already in good shape, then buy a transmission kit which usually includes disc converter, new clutches, and hydraulic upgrades. 2) Larger Wheels: The larger, the better. The pros cannot be understated- fit in larger brakes for better control, have a smaller side wall and you get less drop if it gets flattened. 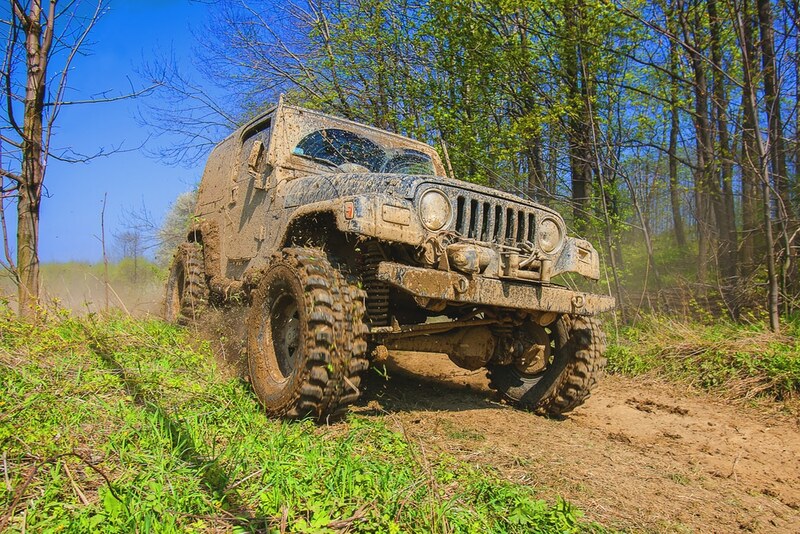 3) Performance Tires: Mudders and performance tires will get you more traction and better pull on the off-road. Pack in a spare in case you get a blowout. Well-inflated performance tires will get you to your bug out location than an ordinary one. As a side note, the proper way to maintain them is to constantly check for pressure levels all year round. Check the treads as well. Rotate the wheels and tires for every 5,000 miles covered. 4) Mounting / Weapons Storage: Being able to quickly access you weapons and put shots on target will largely determine if you will succeed at defending yourself, loved ones, and property. Having quality, dependable mounting and storage solutions for your weapons is a good idea to prepare for unknown threats. 5) Fuel Canisters: Make the best use of that extra space by outfitting your bug out vehicle with a secondary fuel tank. Or, purchase fuel cans and mount them onto the bumper or the roof rack. The same principle can be applied to your weapons. 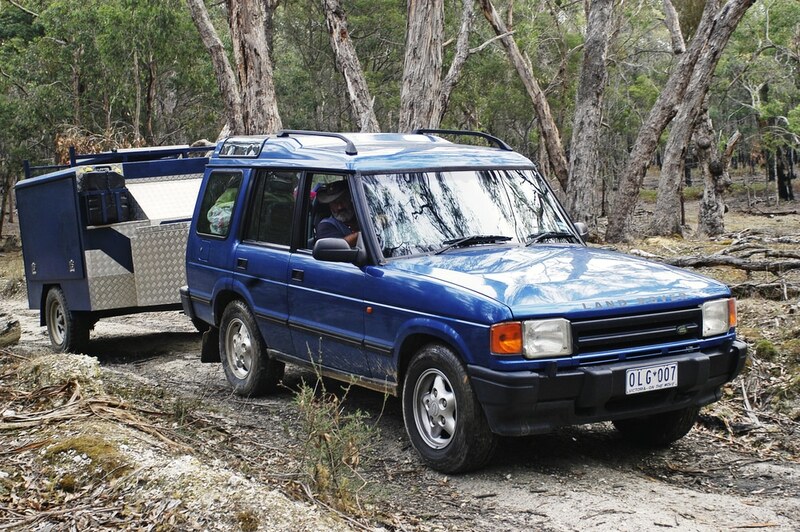 6) Tow Package: BOVs can certainly benefit from trailer light connections and a towing package with hitches. Sedans, trucks and SUVs do have towing capacities, and attaching a utility trailer will greatly expand your essential resources. 7) Winch: Getting stuck while offroading isn’t an uncommon situation. This is why you’ll need a winch stowed away on your bug out vehicle. Calling AAA to get unstuck won’t be an option in SHTF events. 8) Brush Guard: Bumper guards can do a lot of useful stuff while attached to your bug out vehicle. Hold winches, additional lights and acting as a protective barrier are just some of them. Go with a Warn Industries package if you want the best of the best. 9) Armor Plating: Anticipating a war and firefight? Then you’d best prepare with armored plating for your vehicle. Retrofit with ballistics armor for good measure. 10) Skid Plate: Skid plates serve the purpose of protecting the underside of your vehicle from damaging stones and larger debris. It can stand between you making it safely to your bug out location and being stranded in the middle of nowhere. 11) Roof Rack: Adding a mod that will put some extra storage space is always a good thing for SHTF events. While some vehicles already come with a luggage rack, put in something beefier by upgrading to a cargo carrier that adds substantial real estate for your SUV or truck. 12) High Power Lighting: Lighting can come in very handy in almost all emergency situations. Say you’re stuck in a pitch-black night and in the midst of a raging thunderstorm. The great thing about technology and LED lighting in particular is that you can get high power lighting for a reasonable cost. Some of them can churn out more than 24k of bright lumens. 13) Topper: Finally, get a topper if your bugging out in a truck so you can keep your gear safe and in optimal condition during worse weather conditions. 14) Suspension and Lift Kits: Suspension and lift kits allow you to run larger tires and gain valuable ground clearance to tackle off road terrain with ease. Kits are available for nearly all makes and models. 1) Military Surplus Vehicles or Humvees: A surplus Hummer is an instant BOV with all the trimmings you can ask for. The newer model OshKosh Tactical Protector Vehicle is a souped-up version of the Hummer. With it, you get the Hummer’s pedigree and the super stable and strong form to power through any SHTF event. 2) 4WD Trucks w/ Crew Cabs: We mentioned earlier how a crew cab mod can be essential when you’re building the perfect bug out vehicle. You can put in a cargo top, improve the suspensions and have an excellent BOV even when electricity is not present. 3) Pick Up Trucks or Full Size SUVs: You can’t beat pickups and full-sized SUVs when it comes to value for money. This category is an all-rounder when it comes to being your BOV. 4) Campa EVS: The littler sibling of the Unicat Expeditionary concept with a hefty mid-sized truck frame. 5) Jeep: There are several Jeep models that have 4WD capabilities and prime real estate. Offroad enthusiasts should consider the Jeep models. Customizers will salivate over the massive selection of mods, accessories and parts that you can customize the Jeep with. 6) 4 Wheel or AWD SUVs: SUVs aren’t all made equal. The best ones that make excellent bug out vehicles are the following- Chevy Tahoe, the older Ford Expedition vehicles, the Jeep and Nissan and the Toyota 4Runner. 7) Sportsmobile Adventure Vehicles: Here’s a checklist of what makes a good Adventure vehicle for bugging out. It shouldn’t be expensive and have offroad capabilities. It should be rugged, tough and fast. Moreover, the capacity range should be about twice your bug out location and carry you and the essential gear comfortably. 8) Mini Vans: Don’t underestimate the loading power of the mini van. You can see them streaking on the road, carrying precious belongings and everything hanging out precariously! 9) Motorcycles: For when you embark on a lone survivor trip into tight territory. Useful for scavenging or hunting for supplies and game. 10) Boats: If you live near a river way or the ocean, bug out boats are absolutely essential where a water way may provide the best escape route. It could be as simple as a loaded out canoe or john boat. In sum, a bug out vehicle should fit with how you intend on using it given the various SHTF scenarios you are most likely to encounter. It’s OK to start small with purchasing a reliable, used 4×4 truck or SUV, and add accessories to your vehicle over time in the order of importance (spare, extra fuel capacity, winch, etc) – unless the threat is imminent, you don’t need to go all in at once and build the perfect but out vehicle in record time. Also, consider if a bug out vehicle should even be your top priority in the grand scheme of peppeing. If we missed anything please let know in the comments. Also, what is your favorite bug out make and model and what would you do to it? My bug out vehicle would be a jeep. I would try to make it water proof.